Our Bed and Breakfast has a magnificent view across the valley to the snow-capped Alps. From your bright and spacious suite you will see the sunrise touching the peaks on the opposite side of the valley…unless you are still snoozing in your comfortable bed. Beds can be made up as a double or 2 singles. In Summer our 8 apartment-suites can accommodate a single traveler, couples, families and groups of 16 in spacious comfort. Large groups of up to 32 can be accommodated by arrangement. 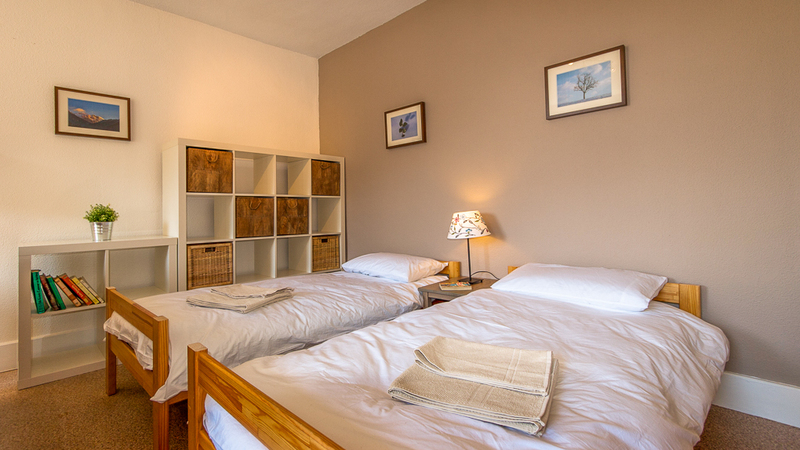 The suites are all en-suite, with half of them having full size baths with showers. All have big showers and WCs. The suites also have kitchenettes and fridges. We have a large private car park and garden. Generous breakfast to set you up for the day. Start the day with a good breakfast. 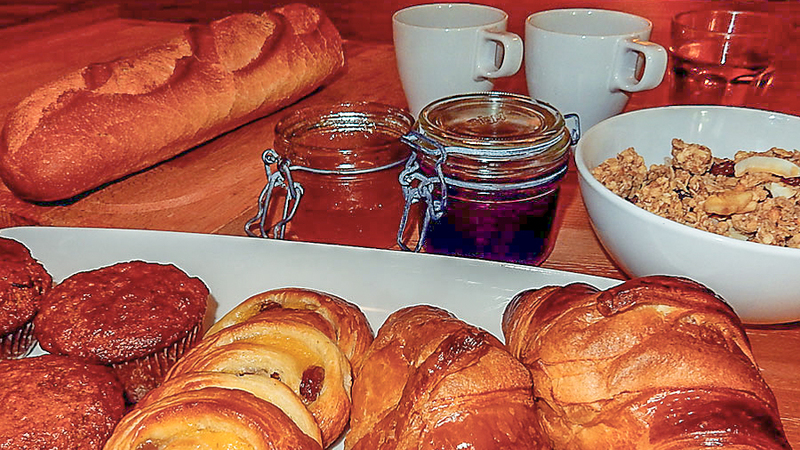 Fresh bread and croissants along with a good selection of cereals or porridge (oatmeal), ham, cheese and fruit will set you up for the day. Eggs and bacon cooked to order are available too, along with freshly brewed coffee and tea.